10 June / A delegation from Uppsala will be visiting Tartu from 6-8 June. The 30th anniversary of the cooperation and friendship relationships between the two cities are being celebrated and future plans are being discussed. The 13-member delegation is headed by Mayor of Uppsala Marlene Burwick and Council Chairman Carl Lindberg. The delegation includes members of Uppsala’s city government and council. Uppsala was one of the first cities with which Tartu concluded a friendship agreement and with which close and meaningful cooperation continues to this day. According to Mayor of Tartu Urmas Klaas, Uppsala occupies a special place among Tartu's friendship cities, and the two university towns share many similar development trends. On Thursday, 7 June, Uppsala Street will be opened in Tartu. After that, the delegation from Uppsala will visit the SPARK demonstration centre, the Widget Factory (Aparaaditehas) and the Estonian National Museum, and Carl Lindberg, Chairman of the friendship city’s community council, will be greeting his colleagues from Tartu at a council meeting taking place on the same day. 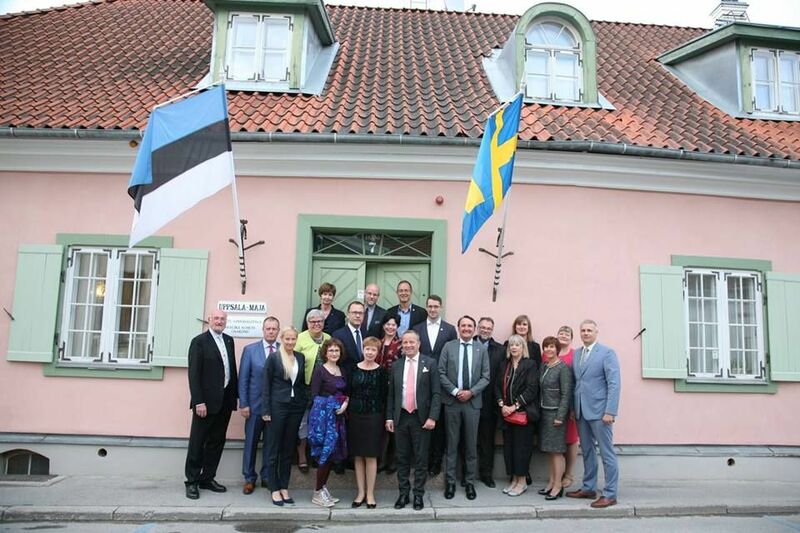 During the visit, the Swedish flag will be flying together with the Estonian flag and the Tartu City flag in front of Tartu City Hall, and Swedish music will be played by the Town Hall’s carillon.